He was a legend and an inspiration to generations of Brunswick students. Robert G. Sampson, 95, beloved coach, friend, and mentor to so many in the Brunswick community, died Thursday, September 6. 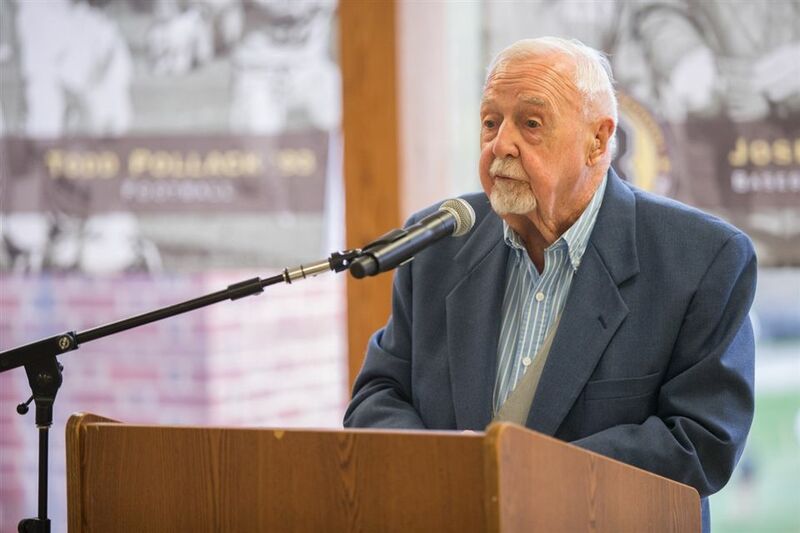 Coach “Sam,” as he was affectionately known by his players and colleagues, arrived at ’Wick in the fall of 1975 to become the School’s athletic director — adding head football coach to his slate of responsibilities in 1983. 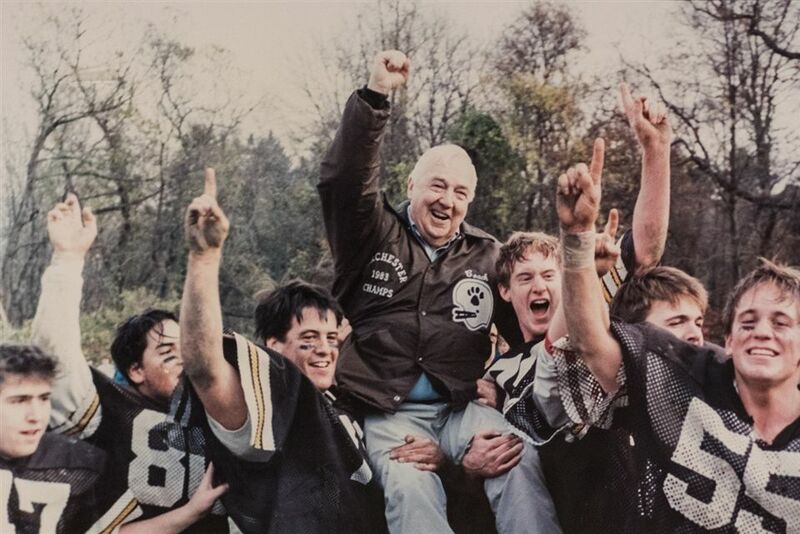 A monumental 140 wins, 14 FAA titles, eight undefeated seasons, and four New England championships later, Coach “Sam” retired in 2001 as a giant in the world of high school football. Former players, though, lauded their coach for his passion and integrity — and the lessons he taught that stretched far beyond football. 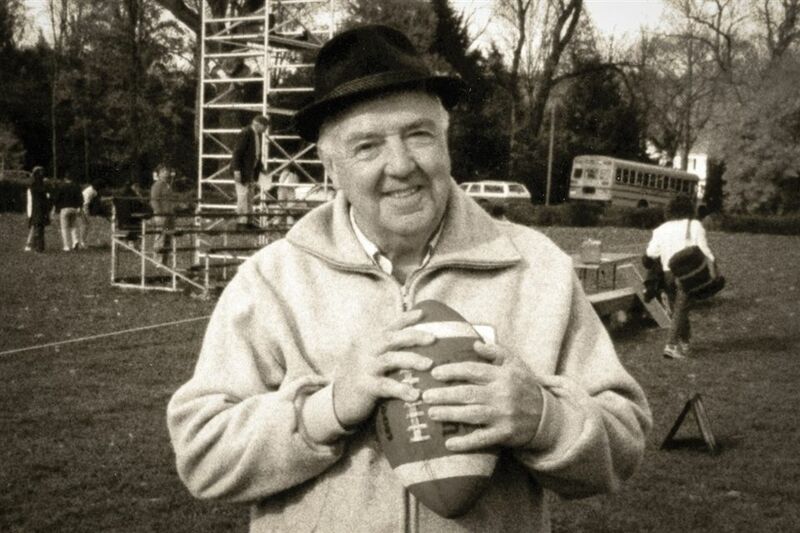 Prior to Brunswick, “Sam” coached and taught physical education at a handful of schools after graduating from Ithaca College in 1949 — including Onondaga Central High School in Syracuse, N.Y., Mamaroneck High School, and Hackley School. Coach “Sam” remained a fixture in the Brunswick community — on the sidelines, at Homecoming, and in the athletic office — until his death. Arrangements for a memorial service have not yet been announced. Brunswick will provide details as soon as they become available.